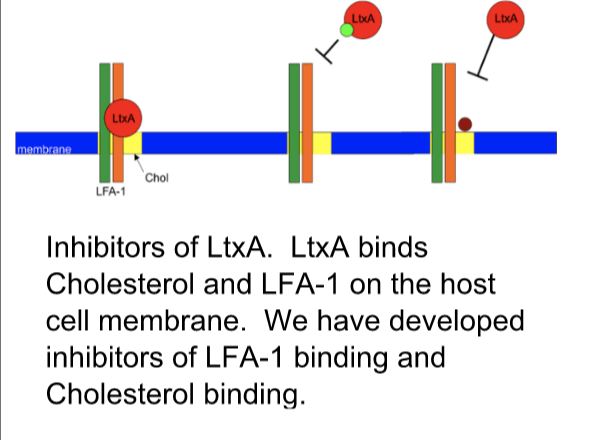 Leukotoxin (LtxA) is a protein toxin produced by the Gram-negative pathogen, Aggregatibacter actinomycetemcomitans. This toxin recognizes cholesterol and an integrin, LFA-1 on host immune cells to initiate cell death. By eliminating the host immune cells, the toxin provides an advantage to the bacterial cell, promoting colonization by the bacteria. Using our knowledge of how the toxin recognizes these two targets, we have designed and tested inhibitors of each target. 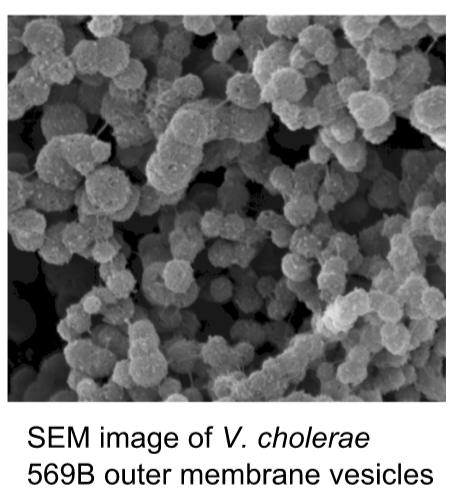 In addition to releasing “free” toxins, most Gram-negative bacteria release toxins in association with outer membrane vesicles (OMVs). We are investigating the mechanisms by which toxins associate with the OMVs and by which the toxin- containing OMVs are delivered to host cells, with the goal of designing specific inhibitors of this process.